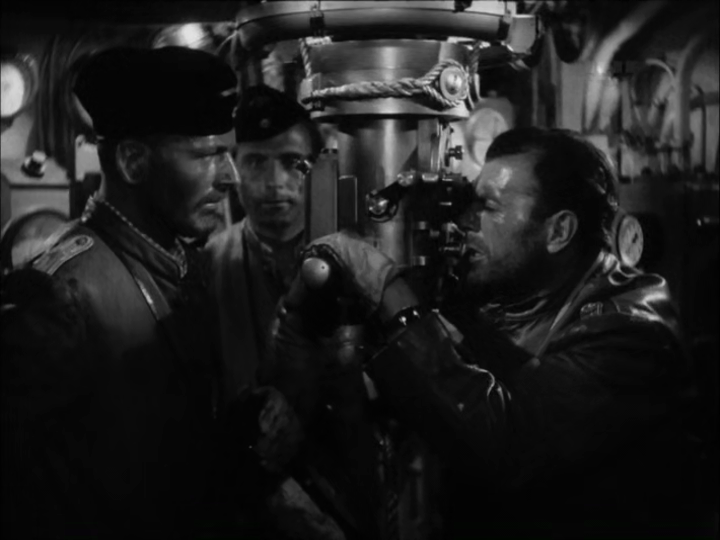 When I first discovered and read about the German World War II film U-Boote westwärts!, I was struck by the extreme story similarities with the British film We Dive at Dawn from two years later. So struck that for a while I speculated whether the latter might actually be a loose remake of the former. The initial story structures are, indeed, strikingly similar. 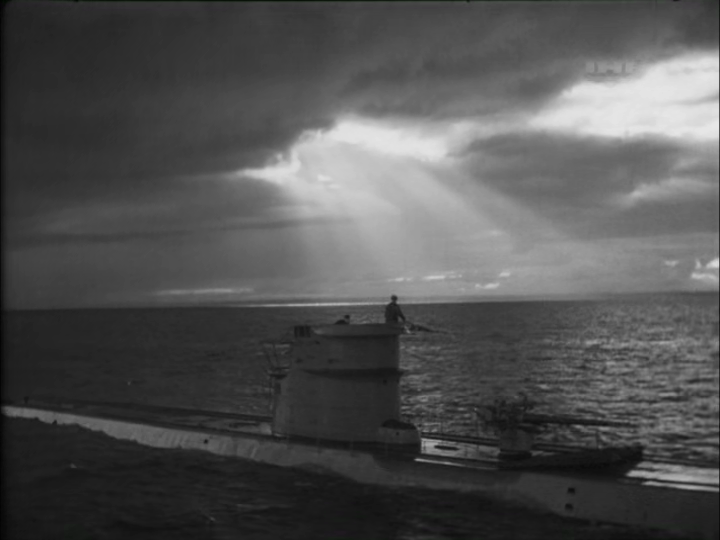 A submarine returns to port after a long and hard mission at sea (scenes of surfaced submarine moving steadily forward through picturesque sea and port backgrounds). The crew is looking forward to a long and well-deserved shore leave. They meet up with families, fiancées and various other female friends. One is about to get married. But duty calls. The Queen/Führer needs them and they have to set to sea immediately in order to fulfil an important mission. However, even during the brief shore leave sequence, the differences between these two films start to become apparent. Beyond the abovementioned similarities, these films are very different at their cores. Compared with the British film, U-Boote westwärts! seems much more realistic, both in terms of the submarine interiors, and in terms of the missions and situations that a World War II submarine would typically face. On the other hand, the story lacks the intensity, action and adventurous touch that the British production has. Which version you prefer thus depends on whether you prefer realism or suspense. This film is best enjoyed if you like old war films. U-Boote Westwärts! is not a great film, and some will be further put off by the propagandistic portrayals of British seamen. Nevertheless, it has several good qualities, including some very solid actors. I have had an almost lifelong fascination for aviation movies. When I was a kid, I dreamt of becoming a pilot, and I guess the best aviation movies sort of made that dream seem true for a brief time. 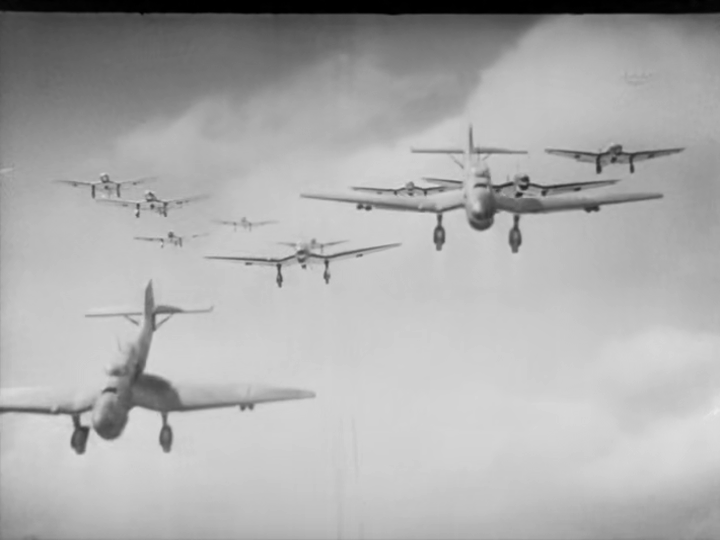 For several years now, I have wanted to see a number of German World War II propaganda films on that topic, and in particular the film Stukas, about the infamous dive bombers that totally dominated the sky during the successful Blitz in the early parts of the war. I was therefore very excited to find, at last, a good copy of the film at the Internet Archive some time ago, and my expectations were completely met. 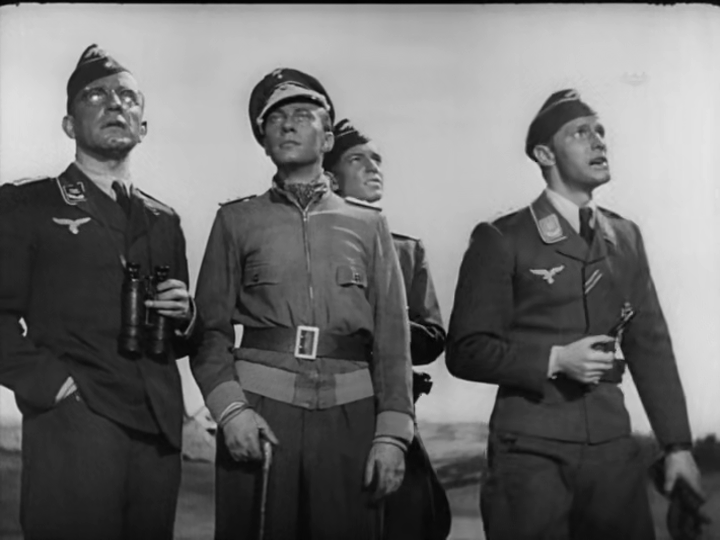 Set during the Battle of France, which had ended only about a year before the film’s release, the film depicts the joys and hardships of a Luftwaffe group of Stuka pilots. The need of constantly being on the alert and the sorrows of losing dear friends in battle, but also the strong comradeship and the sense of accomplishment after a successful mission. 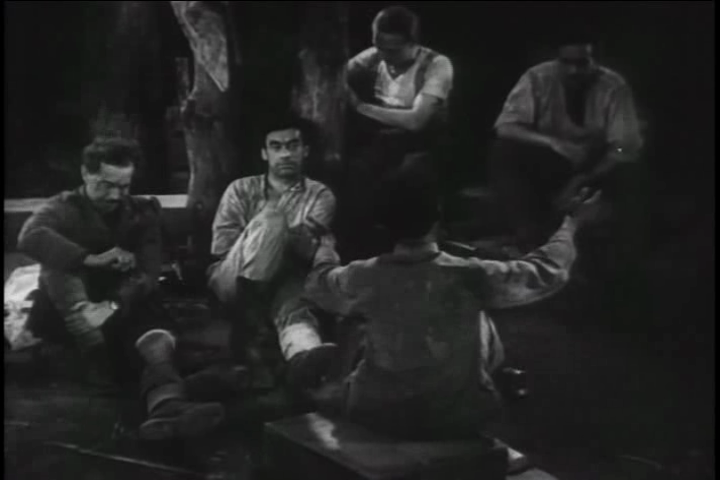 The film is well paced for the most part. 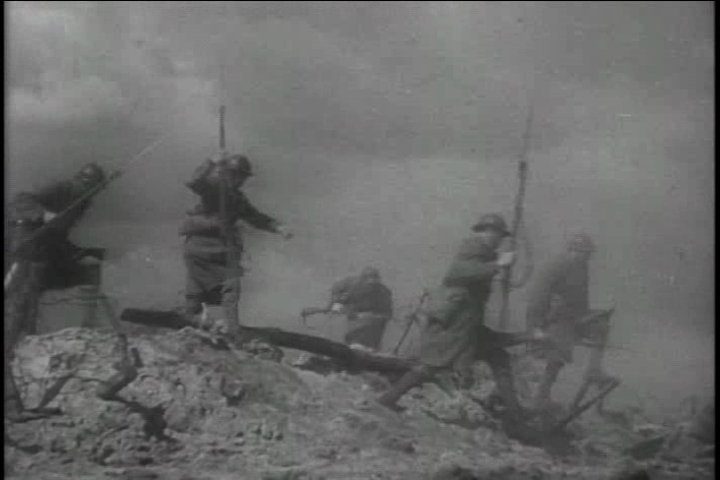 In the beginning the constant victorious missions over French territory may feel a bit repetitive at times, and the final segment of the film is too long and drawn out. But these are minor quibbles over a film that, in spite of the subject matter, is overall very enjoyable. The choice of Stukas was not coincidental. It was one of Germany’s most important and efficient weapons during the early parts of the war. Later, however, such as during the Battle of Britain, the Stukas would suffer considerably when they no longer could enjoy the luxury of full air superiority and therefore much less fighter support. This knowledge gives an unintended ironic twist to the final scenes, where the brave pilots fly off towards England, singing a gay patriotic song (yes, really!). The copy I downloaded appears to be spliced together from at least two copies of vastly varying technical quality. Fortunately, the larger part of the film is in good shape, but during some short scenes, sound and image are barely tolerable. 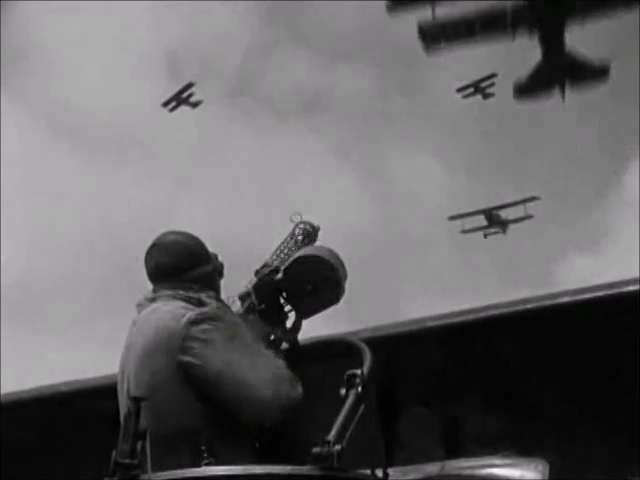 This film is best enjoyed if you can stomach some pretty thick German propaganda, but if you do you will be treated with a number of effective and often spectacular flight scenes. As far as I know, no flying Stukas exist anywhere in the world, so films like this one are the only chance to see actual Stukas in action. This is not to be missed if you are an aviation history nerd! 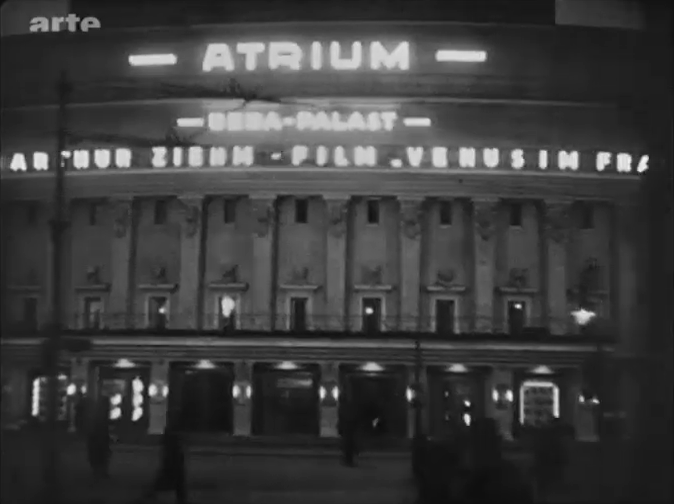 If Berlin: Die Sinfonie der Großstadt is a film about the city where the people live, then Menschen am Sonntag is a film about the people that live in the city. 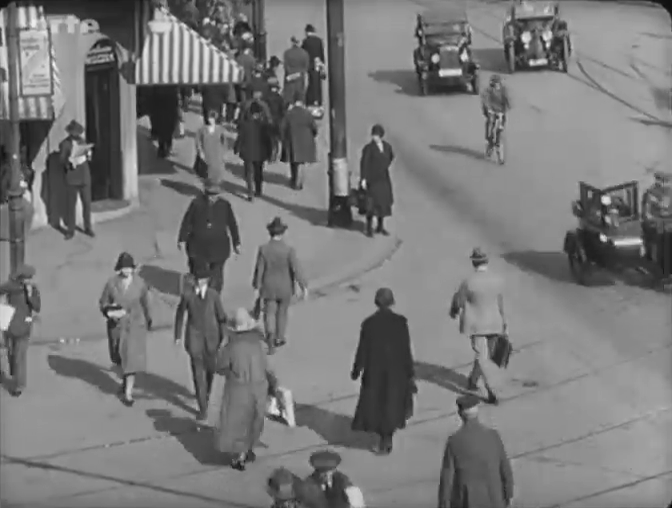 Just like in the former film, Menschen am Sonntag shows us many street views of Berlin, but there is a big difference: Here there are practically always people in focus, rather than just rushing past. Another difference is that here we find little work or of night life, and much leisure time. Menschen am Sonntag (People on Sunday in English) focuses on a day in the lives of four young Berliners. The titles in the beginning very carefully point out that these four are not professional actors, but that they play themselves. According to Wikipedia, this appears to be correct, although the story around them seems to be entirely fabricated. Thus, the film becomes a fascinating mix between reality and fiction. It is hard to know where the one ends and the other begins. For example, is Erwin really married to the tired and quarrelsome woman whom we find in that role? Perhaps not, but what about the apartment where they live in the film? Is that his real-life apartment? We are never told. The plot of the film is fairly simple. Wolfgang is out walking when he comes across Christl, a pretty girl who seems to have been stood up. He buys her some coffe and invites her to join him at the recreational area Nikolassee the next day, which is a Sunday. When they meet next day, each has brought a friend, and Wolfgang is immediately taken in by Christl’s beautiful friend Brigitte. The four of them swim, eat and go for a boat ride. By and by, Wolfgang is becoming more and more intimate with Brigitte, whilst at the same time trying to keep Christl in the dark. 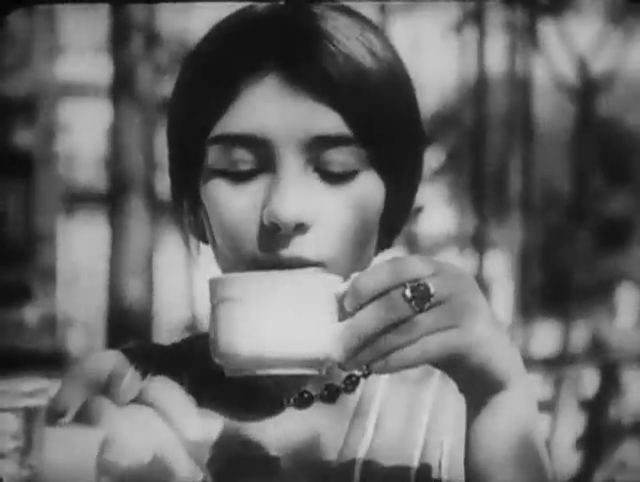 Except for some domestic scenes at Erwin’s apartment, that is more or less everything that happens in this very unusual film. But no more is needed. 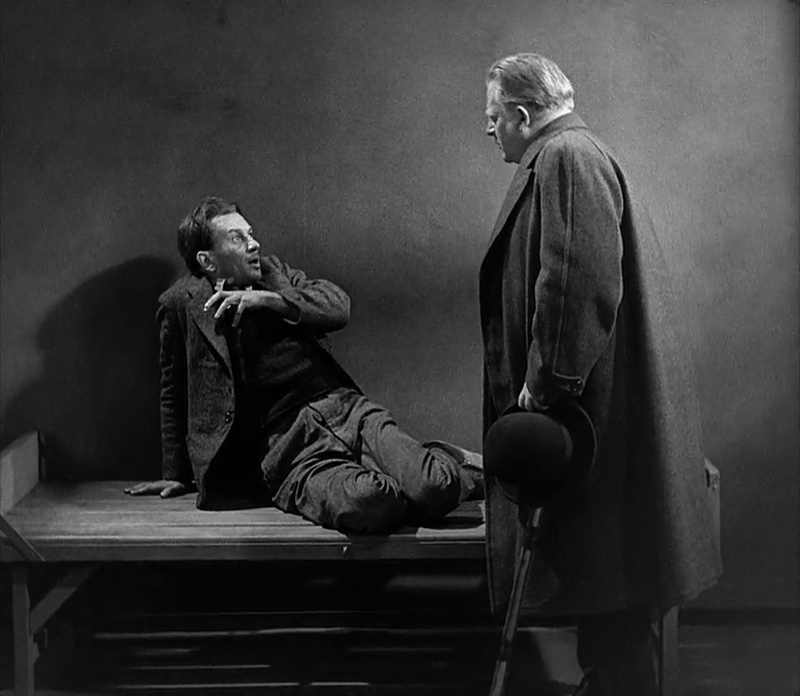 This film is best enjoyed as a slice of life from interwar Germany, shortly before the Nazis came to power. 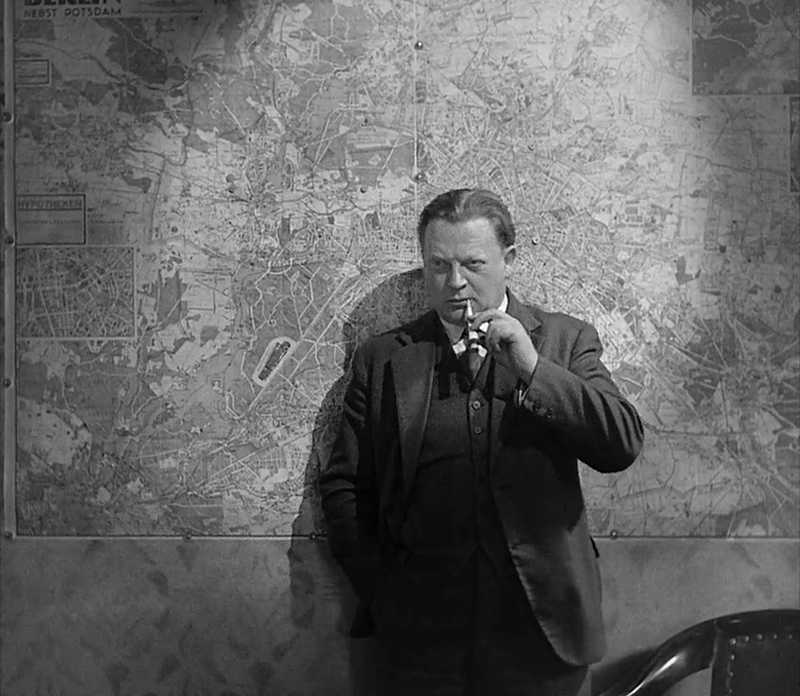 It is an excellent complement to Berlin: Die Sinfonie der Großstadt, from about the same time, since both films focus on the same city but from very different angles.